Some endocrine-disrupting chemicals occur naturally, while synthetic varieties can be found in pesticides, electronics, personal care products and cosmetics. Some can also be found as additives or as unintended contaminants in food. The Pesticides Action Network campaign group had accused EFSA of creating loopholes for the pesticides industry to escape banning of chemical substances they use. In an opinion published this spring, EFSA underlined that not all endocrine-active substances have an adverse effect on the hormone system and that a distinction needed to be made between those that do and those that do not. The Parma-based agency defined "endocrine-active" substances as essentially harmless while "endocrine disruptors" are considered as causing potentially adverse health effects. EFSA's opinion came after the European Commission asked the agency in 2012 to define scientific criteria for endocrine disruptors in view of possibly regulating them in the future. But in a subsequent open letter to Borg, PAN Europe challenged the rationale behind the EFSA opinion. "The part of the opinion we do not like at all is the part on a causal relation between endocrine activity and adverse effect. 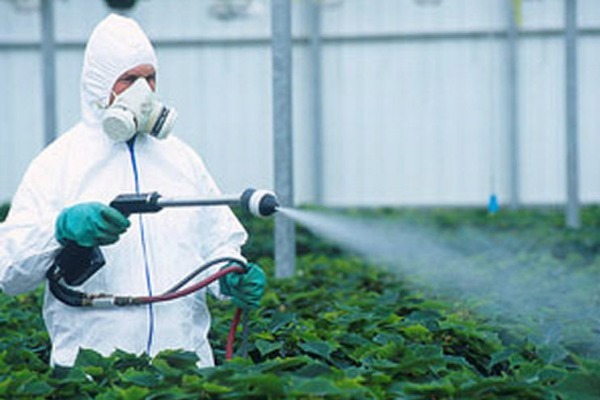 While endocrine-disrupting substances clearly define endocrine-disrupting properties, the pesticide/biocide regulation states that it is sufficient to ban these chemicals if they ‘may’ cause adverse effects." PAN Europe said EFSA went beyond its mandate by giving its definition of endocrine disruptors and effectively added elements to the EU pesticide law. EU legislation, it argued, should not be changed and should be respected at all levels. The NGO letter caused the European Crop Protection Association (ECPA), which represents pesticides manufacturers, to state that the endocrine disruptors debate should be based on "sound science in regulatory decisionmaking." In the reply to PAN Europe, Borg's cabinet says EFSA has endorsed the definition of endocrine disruptors recognised at international level by the World Health Organization (WHO). Therefore, the Commission disagrees that EFSA is not respecting EU law when setting the criteria for endocrine-disrupting properties. "Furthermore, while disagreeing with your statement on the presumed conflict of interest and lack of independence of EFSA experts … EFSA has a very strict policy on transparency, independence and conflict of interest, which was also applied in the preparation of the opinion on endocrine disruptors," the Commission writes. EURACTIV Poland: Spór o definicj? EDC, substancji zaburzaj?cych gospodark? hormonaln? Sell by dates, parabener, endocrine-disruptors even the aborted one dose table olive oil idea; all to help big business. The ERT is running the show. It´s time for a European democracy revival.